Modern sport relies heavily on science in order to enhance performance, maintain safety, and ensure long-term health. By combining the best of both scientific/medical and gymnastics-related literature, the authors of this book enable scientists, physicians, parents, coaches and gymnasts to understand how gymnastics works. They provide a unique and systematic presentation of the scientific aspects of training and performance while incorporating some of the `culture' of gymnastics. Their very close ties to gymnastics guarantee that the subject becomes intelligible to anyone as it provides an encyclopedic overview of the scientific/medical research in women's gymnastics, including new information that will not be found in typical computer databases. 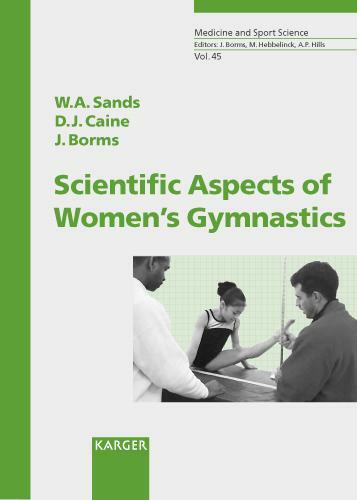 `Scientific Aspects of Women's Gymnastics' provides the most up-to-date information on gymnastics by covering all relevant topics such as biomechanics, physiology, injury epidemiology, growth and injury, and kinanthropometry. William A.Sands is the Director of Research and Development for USA Gymnastics, a former chair of sport science for USA Gymnastics, and Vice Chair for Research for the US Elite Coaches Association for Women's Gymnastics. Dennis J. Caine is an internationally recognized authority on the epidemiology of injury in sports. His research and writing - much of it on pediatric sports injuries - has been widely published. Most notably, his articles on growth plate and gymnastics injuries resulted from his collaboration in several auxological and injury epidemiology studies. Jan Borms is since 2001 a Professor Emeritus of Human Biometry and Health Promotion. He received his PhD from the Vrije Universiteit Brussels (VUB), Belgium. He was formerly Head of the Department of Human Biometry and Biomechanics at the Faculty of Physical Education at the VUB. He was the first (founding) President of ISAK, the International Society for the Advancement of Kinanthropometry.